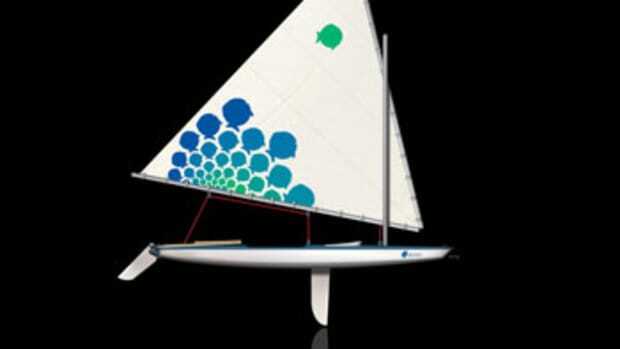 A successful one-design racing class needs a boat that’s well-suited to the local waters, easily built and not overly expensive. Most of all, the boat needs to be fun to sail, exciting to race and competitive in a range of conditions, from light air to heavy weather. 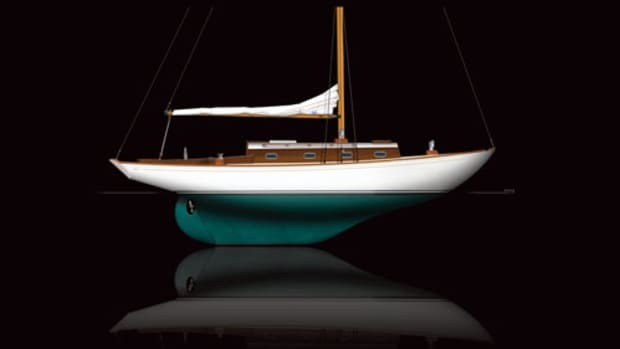 The fact that the Wianno Senior is all of these things — and graceful as a swan — is one reason the 104-year-old gaff-rigged sloop is among the longest-lived one design sailboats in the annals of American yachting. 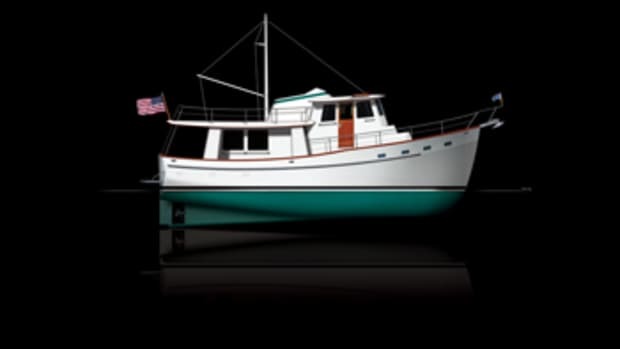 She has an overall length of 25 feet and is just under 18 feet on the waterline. 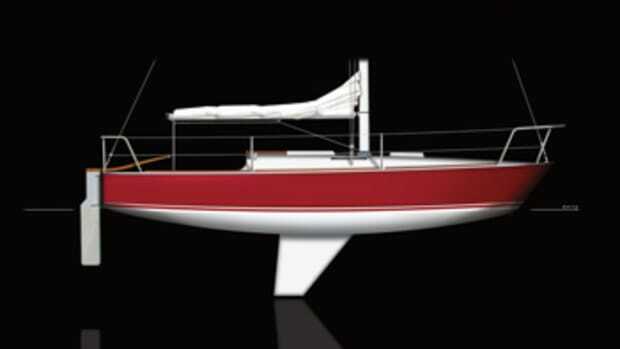 The long keel hides a centerboard, giving the boat a draft from less than 3 feet to almost 6. 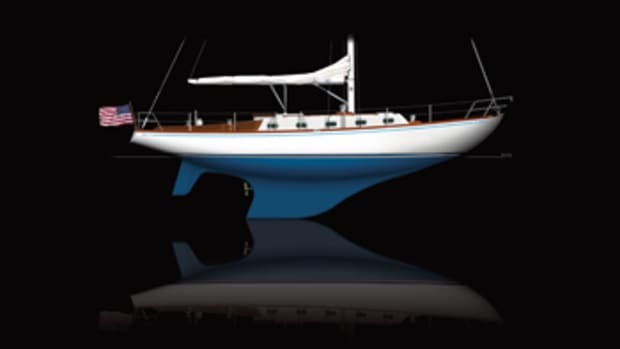 This and 1,200 pounds of ballast help offset her 366 square feet of sail. The cockpit has room for a crew of four, there’s a cabin below for sail stowage, and the 4,100-pound-displacement hull was designed to handle a variety of conditions. 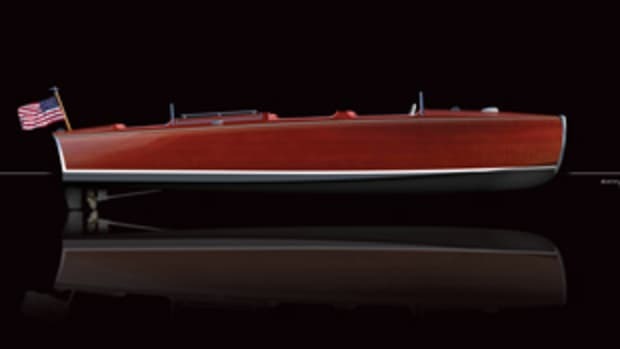 It’s just what members of Wianno Yacht Club wanted in 1913 when they commissioned catboat builder Horace Manley Crosby to design a “fine gentleman’s platform” for racing on the shoal-ridden south shore of Cape Cod, Massachusetts. The Crosby Yacht Yard was a good choice. 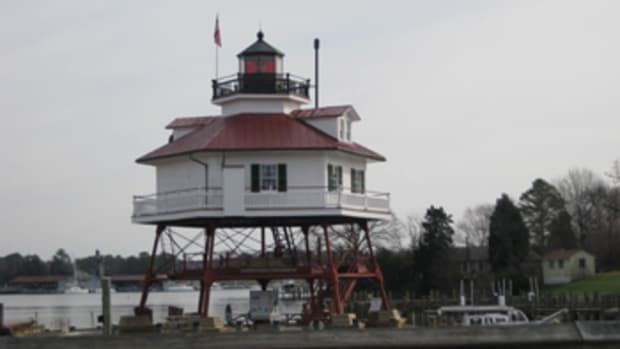 Founded in 1798 by Daniel and Jesse Crosby Jr., who began building boats in Osterville, Massachusetts, the company gained fame in 1850 when brothers Horace and C. Worthington Crosby launched Little Eva, the first of the Crosby catboats. In the century-plus since, more than 180 Wianno Seniors were built, and it’s believed that more than 140 survive. 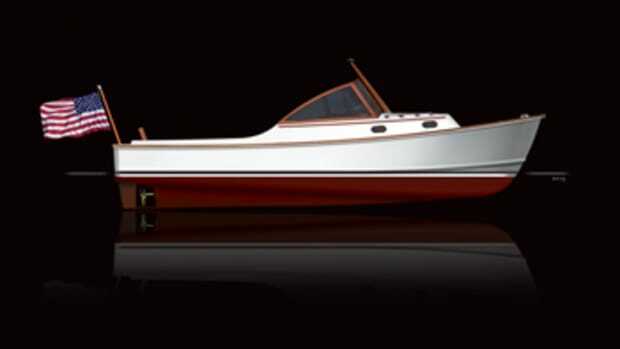 First built of wood, the design survived the transition to fiberglass in the 1980s, retaining the look and sailing qualities of the original. The Wianno Senior remains an active racing class along Cape Cod (wiannosenior.org). 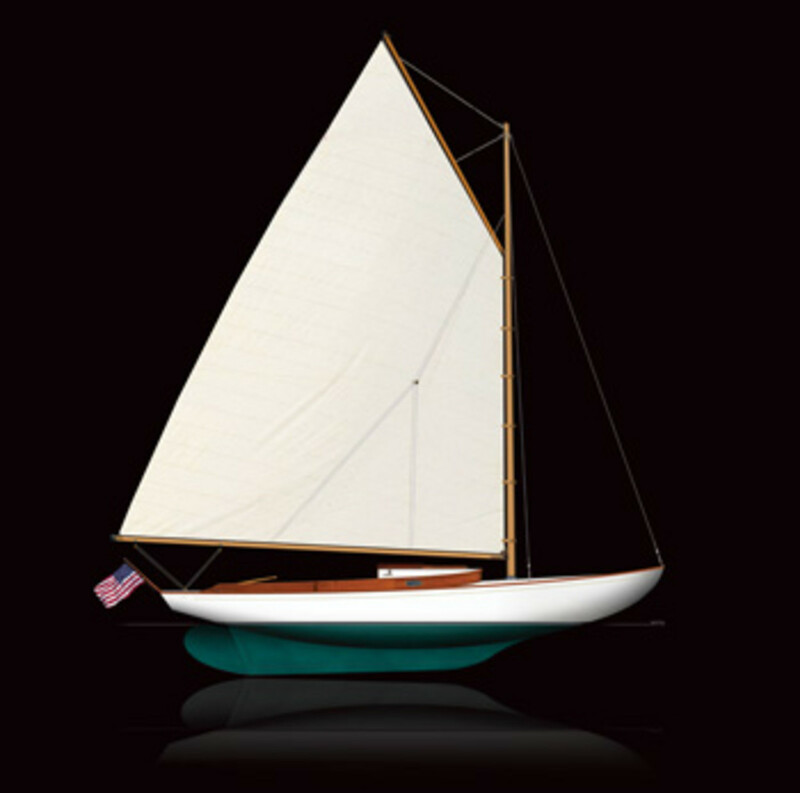 Among the many Wianno Senior sailors was President Kennedy, who owned Victura (sail No. 94) for many years. That boat is on display at the John. F. Kennedy Presidential Library & Museum in Boston.